The advent and swift rise of the chocolate chip cookie offers some of the best stories in American myth-making and king-making. It might feel like this favorite treat is part of our national heritage, perhaps dating back to the founding fathers, but not until 1930 was the first batch impulsively baked in the kitchen of a Massachusetts inn. How quickly it became our nation’s favorite is what makes the chocolate chip cookie more relentlessly American than even apple pie.Easily commodified and mass-produced, it birthed new business moguls overnight, ultimately accounting for more than half of all homemade cookies, with sales of 6 billion packaged cookies annually in the U.S.—it’s the stuff of legend.Revisit the Toll House Inn kitchen of Ruth Wakefield, who one fateful day took an ice pick to a block of chocolate and sprinkled it into her cookie dough, spawning a national craving that continues unabated to this day. Get to know the first chocolate chip cookie-preneurs and their unlikely success stories. Did you know that Wally “Famous” Amos was a successful music talent agent who signed Dionne Warwick and Simon and Garfunkel to recording contracts before he decided a brighter future lay in perfecting his dear aunt’s irresistible cookie recipe? Or that Mrs. Fields was a determined young trophy wife whose husband said her idea of trying to sell her chunky, chewy cookies would never work?And the recipes are packed into this book like brown sugar in a measuring cup, from close approximations of the original Toll House and Mrs. Fields recipes to creative variations like Cake Mix Chocolate Chip Cookies and Pudding Chocolate Chip Cookies. Vegan, gluten-free, and low-fat/low-cal recipes are here, too.So whether you prefer yours crunchy or soft, with or without nuts, you’ll be delighted by the wealth of fun facts and delicious recipes in The Great American Chocolate Chip Cookie Book—and you’re sure to be scrambling for the pantry or nearest bakery to feed your craving. 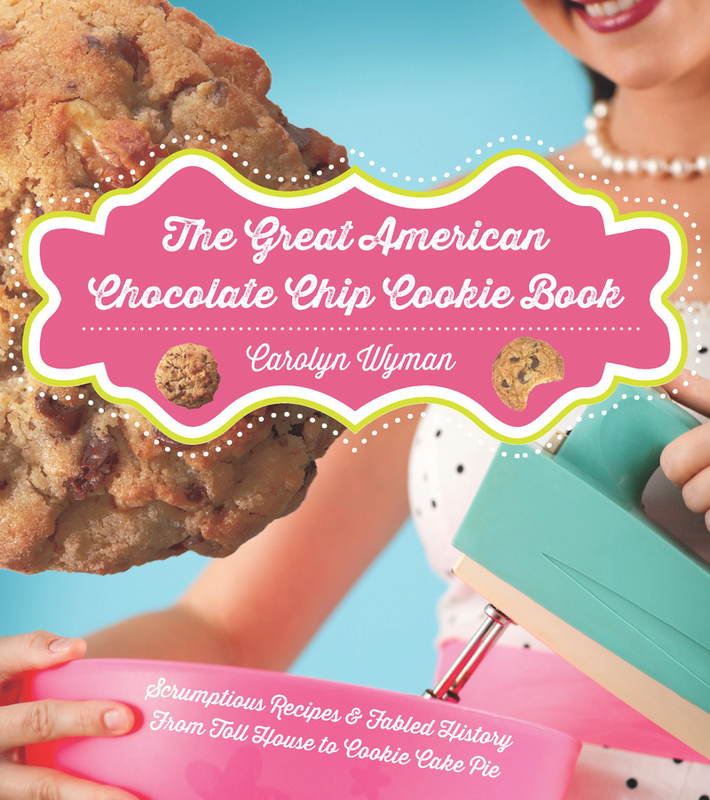 Carolyn Wyman is the author of several other books, including Better Than Homemade and Spam: A Biography. Her work has appeared in the New York Times, the Los Angeles Times, the Philadelphia Inquirer, and the Boston Globe, and her syndicated Supermarket Sampler column appears in newspapers nationwide.